What’s a site for WordPress themes and plugins reviews without a guide where I show you how to create a WordPress website from scratch? Eventually, this guide had to appear on my website. If you’re doing things right, you can even quit your 9 to 5 job. Still, a lot of people get stressed and start feeling uncomfortable when they hear the worlds “start a website”. They imagine lines of code and black screens. Geeks and complicated language. They think that starting a website involves impossible calculations, calling NASA, and buying at least several dozens of books and classes to learn the basics. In reality, it’s not that difficult to start. Yes, there is a learning curve. Yes, it’s something that requires time. And yes, everyone who is willing to spend a couple of hours per day can learn to do it. I, myself, created my first website following an article online. It was in 2010 – I think. 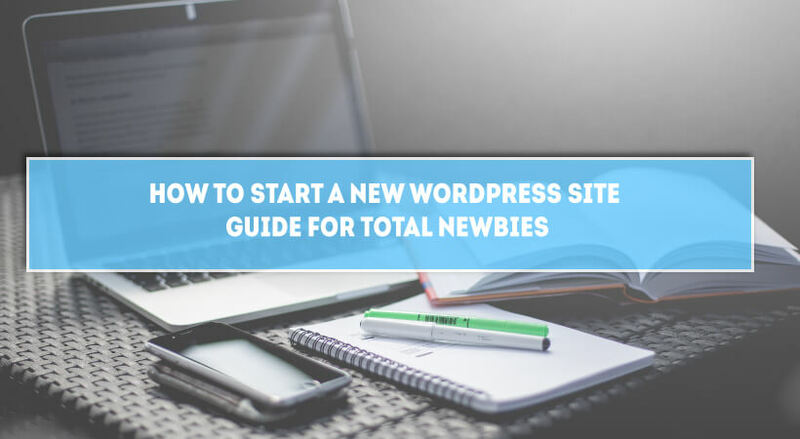 This guide, here, is for those of you who want to create their own thing online but don’t have a clue about what’s WordPress and what are the components of a website. Of course, the main reason here is money. At least that’s what most people think. The majority of the online entrepreneurs start their own thing online hoping that they will get rich, buy fancy things, and work in different coffee shops around the world. Essentially, we all want this type of lifestyle. However, it’s not that easy, nor should be your main goal before you even open your laptop. A lot of people fail with their sites because they solely pursue money. They put earning money above all, which is never a good thing and it won’t actually get you far. Let’s say that you start a site about traveling because you see a lot of people doing it. Let’s even say that your site becomes successful and you start doing this full time. At one moment you’re bound to travel because you need to share more articles on your site. You need more articles because you need to satisfy your audience and get money for that. But what if you don’t even like traveling? You’ve spent all this time building something you don’t really like doing and you’re now obligated to do it. The reason I’m including this first, before the actual steps, is to give you a different perspective about your reasons to start. Start a site that will be helpful for other people. If your site tick these two rules money eventually will come. I’ve done my best to reduce the complicated words and expressions. Still, if there is something you don’t fully get, just add a comment and I will explain in more details. The first step is to find a suitable domain for your website. But what’s a domain name? It’s basically your website name. 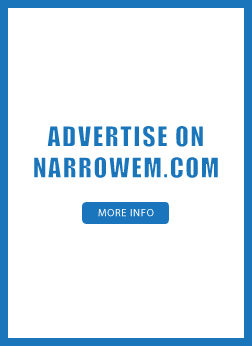 For example, the domain of this site is narrowem.com. The reason I named my site like this is to help people narrow the choices when they pick WordPress products. Yeah, it’s probably now the best idea, but it kind of works for me. So, the first step is to come up with a name of your site. A lot of times getting a domain the same as your name is a good enough idea. For example, JohnDoe.com. But you need to take into consideration the following also: What will be your brand? What will be the main idea behind your site? The domain is your brand. If you’re a consultant, and you’re going to share your experience with the world, getting a domain that’s basically your name is a good idea. However, if you’re creating a site about cooking recipes, you might wanna think in a different direction: whattoeat.com, for example. Brainstorm a couple of words: Think about different variations of words and make a combination of a few words for your domain. Does it sound relevant? Make sure the domain you’re going to pick will be relevant to the content on the site. Make it short: Long domains are hard to remember. You want something that will be unique and easy to remember. Avoid using hyphens and numbers: Hyphens and numbers will only complicate the name. As I mentioned, it should be something easy to remember. Wordoid.com: You type a word and this tool will show you some suggestions based on the word. It will even show you what domain extension is available. Panabee.com: This tool is similar to the above. Type a word and you’ll get suggestions. Keep in mind that domains are not free. They cost around $16 per year. Even more depending on the extension. Once you found a domain you like, don’t just purchase it yet. You will do that in the next step. Extra tip: You found a couple of combinations, but you are still not sure if they are OK? Take your time to think it through, go to bed and see if you still like the domains in the morning. Also, I’ll personally recommend getting the .com extension if it’s available. A hosting provider is like a utility bill. You’re basically renting a space where you’ll build your website. Imagine it like a piece of virtual land. On that piece of land, you’ll build your online website. Basically, this virtual space is composed of a bunch of computers linked together and connected to the internet. Your hosting is the foundation of your website. Without it, you can’t have a site. Despite the abundance, one hosting provider rise above all others: SiteGround. Yes, a lot of these things might sound complicated if you’re just starting. The important thing is that your site will be secured with them. Their plans start at $3.95 per month for the first invoice and their StartUp plan will be more than enough if you’re going to create a personal blog. Finally, add your details, decide for how long you’re going to purchase the account, the server location, and whether you want to add the extra services. Once you’re OK with everything, submit the payment. Extra tip: Choose the server location depending on your future visitors. If you think that more people from the US are going to read your content, it’s best to leave the Chicago server. If you think that more people from Europe will be your visitors, get the Amsterdam server. If you expect visitors from all around the world, I’ll personally suggest the Amsterdam location. WordPress is a piece of software. Something like Windows or Mac OS. The main purpose of this software is to help you create a fully functional website. 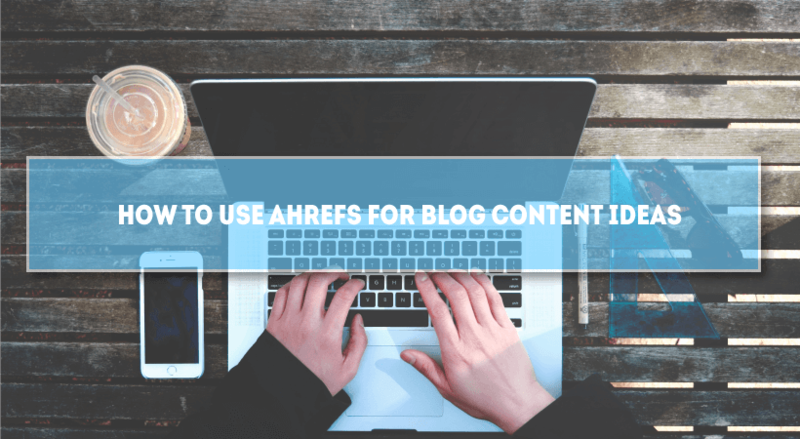 Basically, it gives you the tools to set a site and arrange your content. It’s free and it’s open source. What you need to know is this: This piece of software is enough to create a site even if you don’t know a thing about CSS or HTML. It’s a tool for newbies who want to have an online presence. Extra tip: Nowadays you absolutely need an SSL certificate. This basically encrypts the connection between your site and the browser of the visitor. If you’re going to create an online store you need it even more. The installation process will take a couple of seconds. 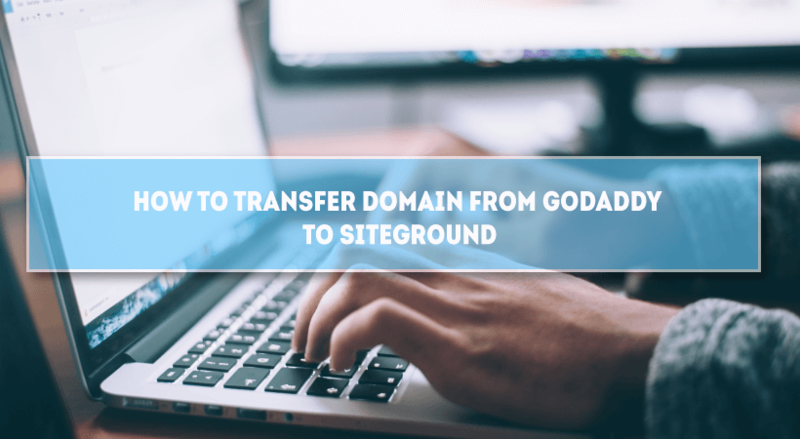 The first is obviously a link to your domain, while the second is your gateway to the backend of your site. The place where you’ll be doing changes to your new site. You’ll most probably automatically login inside your dashboard but I wanted to show you how the login screen looks like. This is basically a customization wizard that will help you install the essential things needed to get started with your site. Still, I will show you how to get started without it in this guide. Click on the Exit button. The dashboard you see in the center is simply a collection of shortcuts. The most important things are presented here. The good thing is that you can arrange the boxes. Posts section is the place where you will be writing your blog posts. Media is the place where your images will be stored. Pages is similar to posts but it’s also different. For example, you will create a home page and about page. These won’t be posts. Posts is specifically for articles where you expect people to comment and share. Inside the comments section you can find comments from people visiting your website. Appearance is the section where you will change the layout of your WordPress website. Plugins are basically extensions to your website. Each new plugins adds additional functionality to your website. These are the essentials. I will talk about them more in a bit. Important: Don’t change the WordPress Address (URL) or the Site Address (URL) sections. Of course, yourdomain.com will be your actual domain. This is important for the SEO of your site. Something that we’ll discuss a bit later. 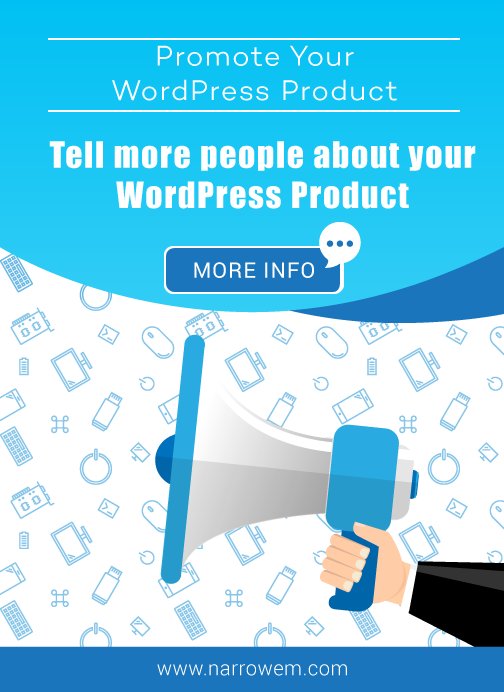 There are hundreds of WordPress themes available for you to use. Basically, the theme will change the looks of your site. 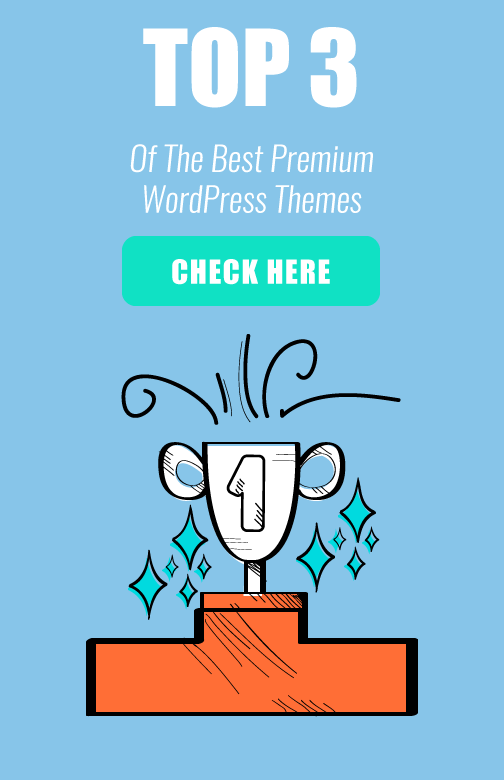 There are both a lot of free and a lot of premium WordPress themes. The good news is that there are a lot of amazing free themes that will be enough in the beginning. In this guide, I will go with GeneratePress. Simply because it’s less complicated for people just starting. So, on the top you have the name of your site, below you have your posts listed chronologically, and on the right side you have your widget section. The widget section is also called sidebar. A lot of people use it to add links to other posts, a link to their about page or a to the services their offer. As I mentioned, plugins add additional functionalities to your website: contact forms, social media buttons, etc. There are a lot of WordPress plugins. Dozens. Thousands. Still, there are few that are essential. We actually installed one of these plugins in the beginning: WPforms. This plugin is basically a Contact Us plugin. It helps you to create contact forms where people can send you a message. Gutenberg: This plugin will soon become the default WordPress editor. Meaning, the way you write articles. You can see my full guide about using this plugin: Gutenberg Practical Guide. Yoast SEO: This plugins basically helps you optimize your website for the search engines (i.e. Google). SEO is something you need to learn in order to get more traffic to your site. Fortunately, we have this guide: SEO for WordPress beginners. Akismet Anti-spam: A Simple plugin that protects your website from spam comments. You absolutely need this plugin. Otherwise, you will soon be flooded with spam comments. Google Analytics Dashboard for WP (GADWP): This plugin connects to your Google Analytics account and you get to see how many people visit your website. Smush: Smush reduces the size of the images you upload. This is needed for your site to run faster. Loginizer: This plugin is also something we installed when we performed the installation of WordPress. Basically, the plugin will block people who are trying to access your account. 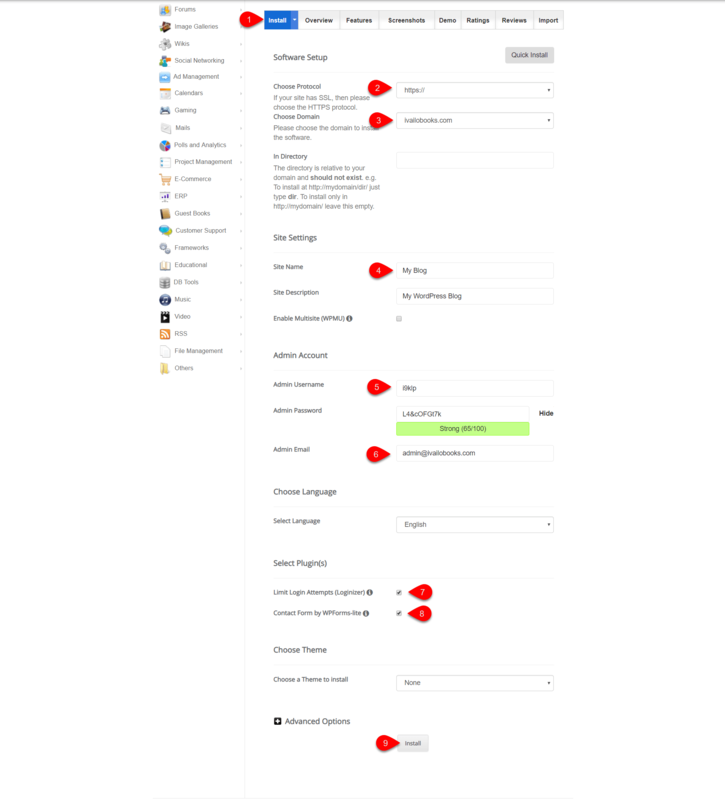 SG Optimizer: Only for people who are using SiteGround for hosting. A plugin that will make your site faster. It’s highly recommended. You simply need to repeat the same process for all the plugins you want to add. We’re almost ready with our basic website. Still, a site without any content is simply a pile of nothing. Before I show you how to add your first post, let me show you how to configure your categories. Each blog post goes under a category. That’s why, you need to think about what type of content you’ll put inside your site. Don’t forget to also add short description. For example 2-3 sentences. Save the changes once you’re done. Do you see, that wasn’t so hard. Updating existing posts and pages. My personal recommendation will be to try all different options. Brake your site a couple of times and make the WordPress installation once again. After few failed attempts you will be confident once you’re inside the dashboard.